Canadian Automotive & Marketing Resource with a Dash Of Lifestyle. 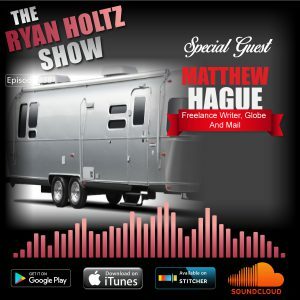 In this episode, I have the pleasure of being interviewed by Globe and Mail writer, Matthew Hague about Airstream’s more affordable redesigned RV. In this interview, I was the interviewee, but this episode gave some great insights on the branding, functionality and popularity of an iconic RV, such as the Airstream. Towards the last few minutes of the interview, we also got to chat about Matthew’s thoughts on the disruption of social media and digital impact on journalism. Since starting this podcast, I have had to shift my mindset into more of a “media” or “journalistic” perspective which has honestly been very fascinating. I had an amazing time on this episode and definitely thought about the Airstream! Make sure to tune in to hear Matt’s amazing and unique perspective. Chatted with a client earlier this week about this who is based in New York and she is a teacher by day and amazing jeweller by night. 2. Having enough dollars in the bank to cushion the pressures of opening a business up. 3. Support system around you that is solid, but does not interfere with your focus. 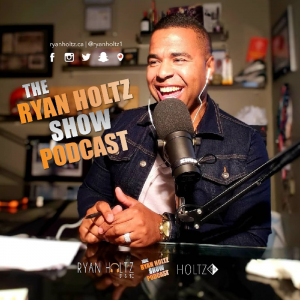 Check Out The Ryan Holtz Show Podcast! Ep 60: Fatherhood …An audio love letter to my Son. Ryan is vibrant, passionate and imaginative. 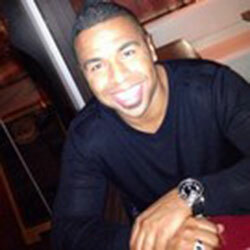 He has volunteered his time to local organizations in order to share his knowledge and expertise. He has embraced his business community and continues to reach out to customers and business colleagues alike to engage them. I’m really glad to have had the opportunity to meet and work with him, and look forward to more exciting ventures in the future! The MDA has partnered with Ryan Holtz to provide Social Media Networking workshops to our dealer members. We have received positive feedback from our members and would highly recommend Ryan for his informative and common sense approach to social media. Ryan is an energetic and engaging teacher. His classes are always upbeat and fun yet informative and educational. I wholeheartedly recommend you take a class with Ryan, you will not regret it! We had Ryan as our keynote speaker at the Rifco National Auto Finance Dealer Conference in Whistler. His presentation was insightful, engaging, relevant and most importantly fun. He provided our clients with an assortment of tools they can take back to their business. Ryan’s energy and excitement was infectious and provided so much value to our conference. Thank you Ryan. I’ve learned more about social media in 5 minutes with Ryan than I have in the last few years listening to other so called experts. I recently had the pleasure of participating in Ryan’s workshop during our annual, National education committee meeting. Ryan’s high energy and enthusiastic presentation instantly intrigued our group; I would confidently recommend him to anyone seeking an innovative and exciting seminar! Ryan is forward thinking and offers progressive marketing solutions, we are very excited to be working with him throughout 2017!